We all have an image of our local grocer. You know the one. That smiling person wearing an apron seemingly interested in nothing more than the freshness of their produce, cut of their meats and involvement in their community, but today’s independent grocer is that and much more. Leading grocers are tired of disconnected, disparate systems throughout their stores. Legacy solutions installed widely in their stores include separate POS, back office, loyalty, labels, inventory, head office, ecommerce and analytics. Grocers looking for a way to compete against fully integrated, frictionless systems like Amazon Go are desperate for next generation products that give them one version of the truth and enable Omnichannel retailing. There is a common misconception that you need to support all possible channels and this is simply unachievable for most grocers. However, Auto-Star’s Star-Plus Supermarket POS can provide that solution, allowing you to maximize your technology and offer your customers excellent service. In a NGA 2019 education session on Click and Collect, Bob Graybill, CEO of FMS Solutions noted that while online sales are still a small percentage of the total supermarket business, it is a race to invest in technology today to capture as many customers as possible. Research has shown that the average online transaction for a grocery store is almost 4 times as much as in store purchases. Once a customer has begun shopping online with you and have spent time building their shopping list and setting up their account, it is less likely that they will switch to another store later on. If you are not investing in ecommerce solutions like Auto-Star’s integrated solutions with Mercato and eComdash, you will miss the boat and it will be very hard to recover later. In a very competitive job market, it’s hard to find good labor at an affordable price to manage and maintain your pricing and shelf labels. An ESL solution allows you to not only increase accuracy and re-task staff but also to take advantage of higher margin opportunities. Auto-Star integrated ESL allow Independent grocers to change prices on the fly and run time based promotions. Running a lunch special? Clearing out expiring product? Simple, with integrated Electronic Shelf Labels. Independent grocers have so much power at their fingertips. The amount of information stored by your supermarket POS when you scan a product and use a customer’s loyalty card is staggering. Unfortunately, most independent grocers are not taking advantage of this power. 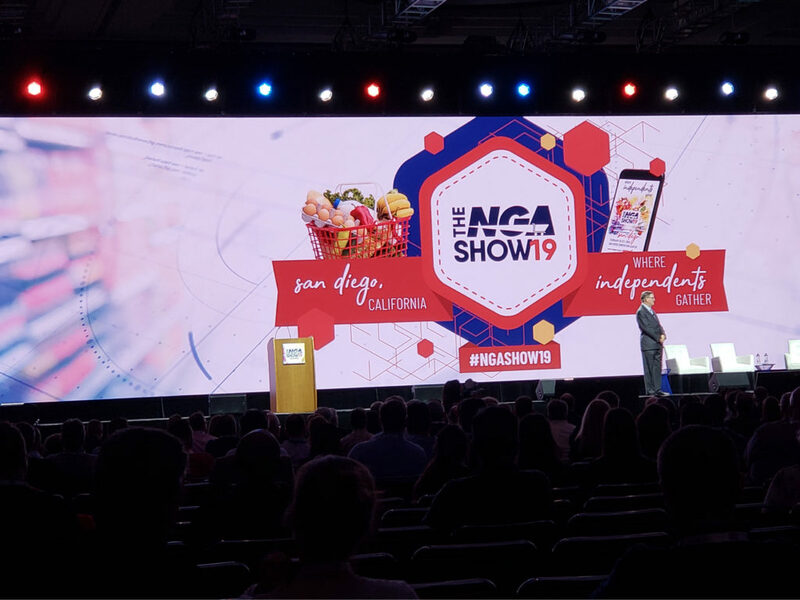 The leading grocers at NGA 2019 recognize the importance of analytics in their business. By taking advantage of the information that you’re already storing and using a system like Auto-Star’s Star-Link Head Office solution or WebPoint Report Studio, grocers can identify companion selling items. With market basket analysis, they can plot their customer locations on a map using geospatial reporting to evaluate and tweak their promotional programs and can target upselling opportunities using dynamic, scannable couponing right on the receipt. Today’s independent grocer at NGA 2019 is passionate about their role in getting fresh, quality products to our families. Contact Auto-Star today to find out more about how we help independent grocers fulfill their passion and take advantage of the latest retail technology.